A calming Rescue Oil for helping in situations where you need to concentrate and be confident; great for exams, interviews and driving tests. Apply to wrists and temples for one to two days before the event and also on the day (can be applied 1-3 times daily), inhale ! Has a soothing calming effect and will help to boost your confidence. The essential oils used in this product are:- Mandarin for its light, gentle calming properties, Basil for its tonic effect on the nerves and mind, Bergamot for anxiety, and Lavender for calming and relaxing. Handmade using natural ingredients that are chemical free, contains Peach Oil, Grape Seed Oil, Castor Oil, Vitamin E., Rosemary Antioxidant, Basil, Lavender, Mandarin & Bergamot. 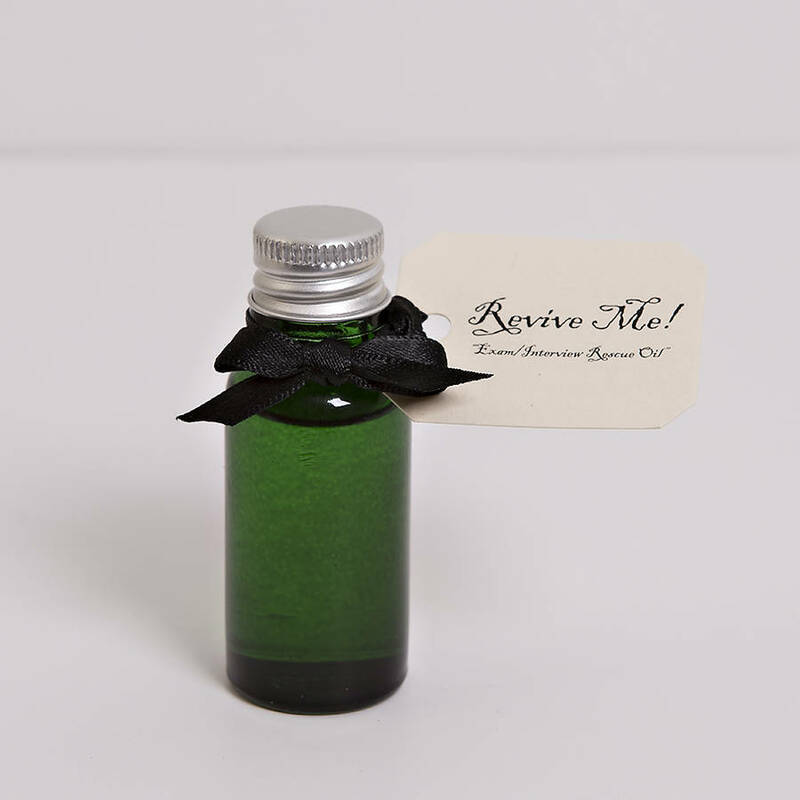 The Rescue Oil is in a lovely coloured glass bottle with a beautiful ribbon, so can be used for exam time etc or great as a gift for Christmas / Secret Santa. H3.5cm x D4.1cm, approx 15 ml.